SEAbridge is a leading technology focused boutique investment bank in Asia. We advise local technology companies on their fund raising and exit strategies. Our aim is to be a trusted partner to the best technology companies in Asia, helping them grow and eventually exit. Our core strength is our hands on management team who combine top level investment banking and legal expertise with deep experience as entrepreneurs as well as VC/PE investors. This invaluable experience on all sides of the investment cycle allows us to facilitate investments and create win-win situations for all parties. We are headquartered in Singapore, with offices in Tokyo and Jakarta, and have a wide network of leading technology companies and strategic and financial investors. 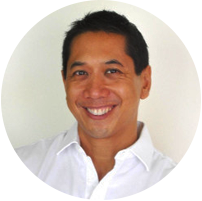 Marcus is a highly experienced cross border Asian investment expert. He has over 20 years of investment experience as a CEO, owner, CFO, PE investor, and investment banker on both the buy side and sell side. As such, he is well placed to facilitate investments in Asia. As a foreign entrepreneur committed to Asia, Marcus has founded, grown, invested in, managed and sold several business in Japan and Asia. Marcus draws upon his deep business experience gained from senior management positions in the corporate and financial world in Tokyo, London, Hong Kong and Singapore. Director of SG Warburg, the leading UK investment bank. Marcus is fluent in English and Japanese and is also a qualified fitness instructor. Jeff is an active investor and serial entrepreneur, as well as founder and CEO of J-Seed Ventures, Inc., a Tokyo-based venture capital firm. He frequently advises multinational corporations on global initiatives and sits on the boards of several companies. Jeff is also an adjunct professor teaching about entrepreneurship at Waseda University in Tokyo and IE Business School in Madrid, Spain. Jeff founded and built several successful ventures including Sozon, an online marketing company sold to ValueCommerce (TSE Mothers: 2491), Solis, a domain registrar sold to GMO Internet (TSE: 9449), SSK Technology, an electronics component company sold to Suzuki Manufacturing, and Pario Software, a network security company sold to Lucent Technologies (NYSE: ALU). 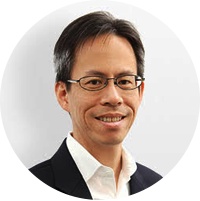 Jeff also built and managed the Japan operations of PhillipCapital, a multinational financial services group based in Singapore, and oversaw their M&A advisory, securities brokerage, foreign exchange trading, commodity futures, real estate investment, venture capital and introducing brokerage businesses. Jeff also worked for several years as a corporate finance attorney in Silicon Valley and Tokyo specializing in M&A, venture financing and public offerings. Jeff studied economics at Sophia University in Tokyo and law at the University of California, Berkeley and Harvard Law School. He is fluent in English and Japanese. Ion has a wealth of experience that includes technology, payment, private equity and investment banking. He is passionate about up-and-coming technology, and well understands the challenges in starting and managing a venture. He served in a senior capacity in a leading payment solution provider in Indonesia, helping to introduce innovative payment solutions to its clients, and leading a team of experts in a consulting work in consumer payment for a major state owned bank. In addition, he managed the partnership for an international remittance provider and a leading Indonesian bank, and led the development of a creative bill payment infrastructure. 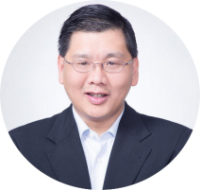 Ion is an Indonesian who received his MBA from Cornell University, and his past corporate career includes SBC Warburg in Corporate Finance and Debt Capital Markets in Hong Kong, as well as Banc of America Equity Partners in Singapore.